Home > Beginner > Brick House 8" x 10"
Beautiful kit and very fast stitching. Great quality linen, clear instructions. I am very happy with this purchase! 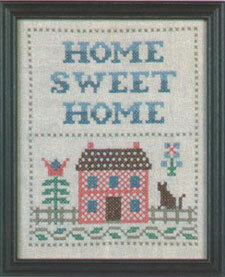 I love my home sweet home cross stitch . It's just what I was looking for. It was easy ordering, and quick shipping. I can't wait to order my next one.